I am need to transfer files from server A(windows) to server B (Linux). I do this process manually every week. If a file gets deleted in Server A it still resides in Server B after file transfer process gets completed. 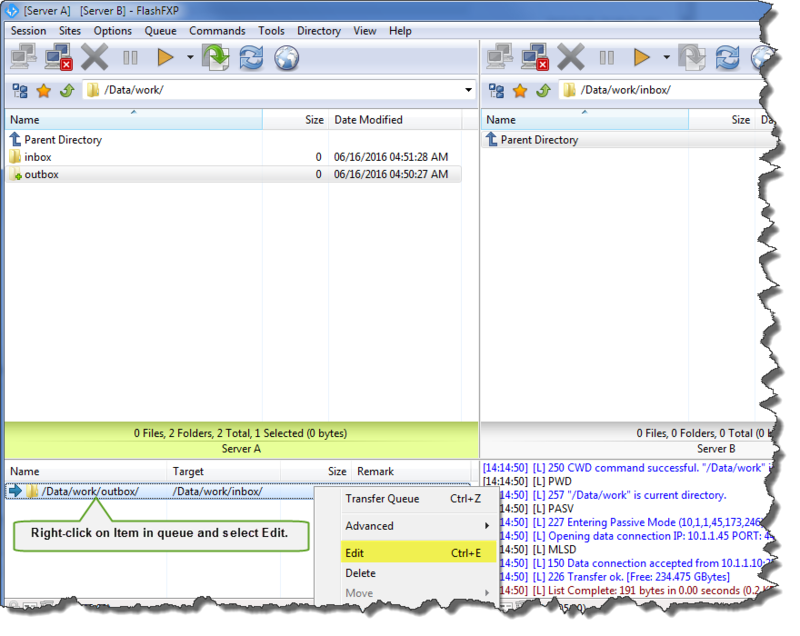 I want to keep the files & folders in exact sync between Server A and Server B. I am currently using FlashFXP 5.4 (build 3939 evaluation) version. How to enable recursive sync between two servers (or) Does the full version have this feature enabled in it? Any kind of help is appreciated. The evaluation version of FlashFXP provides all features without limitations, there is however a 30-day trial period after which a license must be purchased. Right-clicking the item in the queue window and selecting Edit. 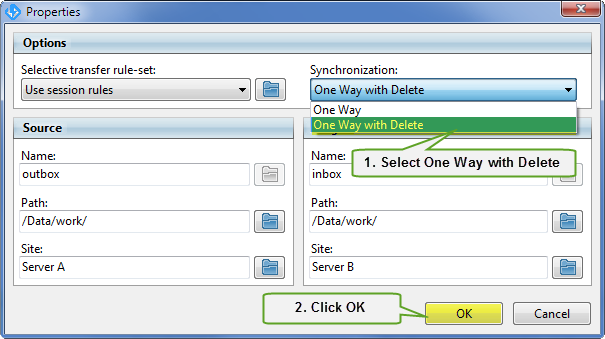 From the Properties dialog, change Synchronization to "One way with Delete" and Click the OK button. You'll then want to save queue to a file so that the next time the queue file is loaded these settings are already set.